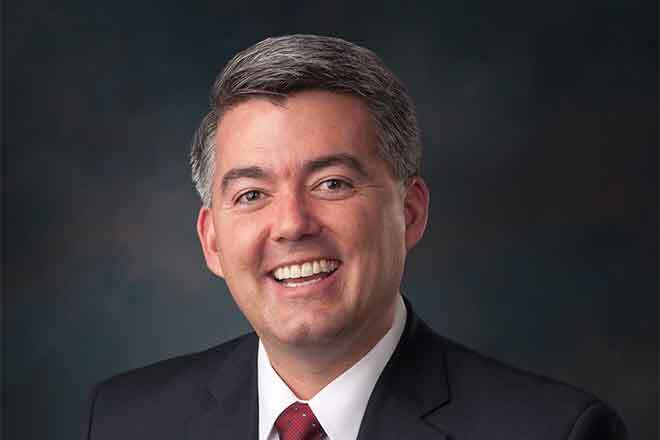 Senator Cory Gardner (R-CO) began his annual Colorado Farm Tour on the Western Slope this past week. On the first day of his Colorado Farm Tour, Gardner visited farms in Meeker, New Castle, Palisade, Norwood, Dove Creek, and Cortez. Gardner kicked off the tour Tuesday night in Craig with the Moffat County Farm Bureau. Wednesday, he began the day in Meeker where he attended a community breakfast with the Rio Blanco Farm Bureau. He then headed to Garfield County where he stopped in New Castle to tour the Roberts' family sheep farm. In Mesa County, Gardner visited Talbott Farms in the "Peach Capital of Colorado," Palisade. Next, he toured Bray Ranches, a cattle and sheep ranch in San Miguel County before heading to Dolores County where he stopped at a bean farm in Dove Creek. Gardner ended day one of his Colorado Farm Tour at a local honey bee farm in Cortez. Later in the week, he made stops in Pagosa Springs and La Jara. "Farms and ranches across the Western Slope play an important role in Colorado's economy, and are at the heart and soul of the Centennial State," said Gardner. "Our state is fortunate to have over 36,000 farms that produce a wide range of agricultural products, and I look forward to continuing my annual Colorado Farm Tour over the next few days to discuss agriculture priorities with Coloradans and learn more about how policy born in Washington impacts them." Gardner will be in Kiowa County Wednesday, August 17, to visit a dryland milo farm in the afternoon.